One day national fast, is an event organised by Durham University Islamic society which basically invites people from all walks of life to fast for a day with Muslims. This year, the event was held on 26th September 2008 at the Durham Mosque. Amongst the invited special guests were the Mayor of City of Durham, the Chief Constable of City of Durham, the Vice Chancellor of Durham University (representative), police officers and non-Muslim students of Durham University. By experiencing and witnessing the significance of the event, I strongly believe that this very unique programme could be adopted in Malaysia as one of the useful da’wah methods upon non-Muslims. Enjoy watching! 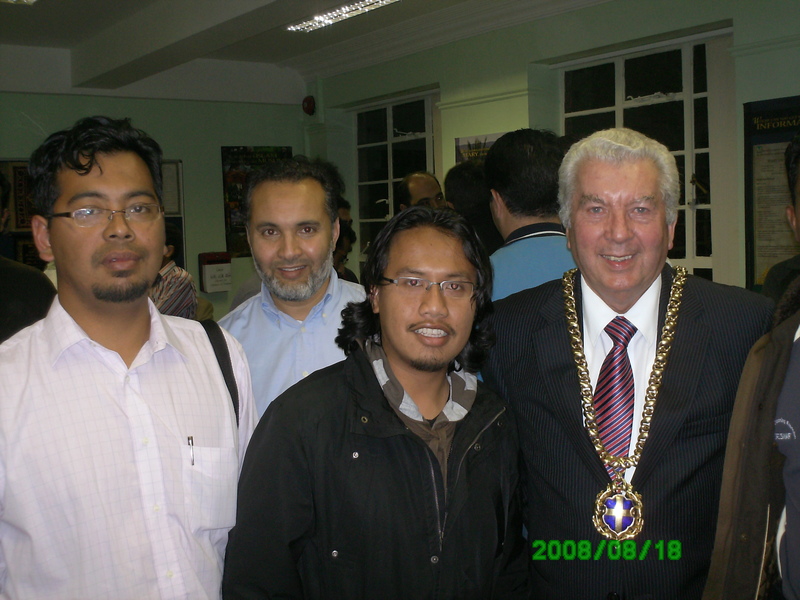 With mayor of Durham in 2008.